Apple now faces over two dozen lawsuits around the world that either accuse the company of intentionally slowing down older iPhones, or at least of failing to disclose power management changes it made starting in iOS 10.2.1. The lawsuits include 24 class action complaints in the United States, with the latest two filed on Thursday by Marc Honigman and Lauri Sullivan-Stefanou in New York and Ohio respectively, according to electronic court records reviewed by MacRumors. Apple is also being sued in Israel and France. Unbeknownst to iPhone 6, iPhone 6 Plus, and iPhone 6s owners, Apple inserted code into iOS 10.2.1 that deliberately slowed down the processing performance of these phones by linking each phone's processing performance with its battery health. Absent the code inserted by Apple, the reduced battery capacity of these phones would not have negatively affected processing performance. Many of the lawsuits demand Apple compensate all iPhone users who have experienced slowdowns, offer free battery replacements, refund customers who purchased brand new iPhones to regain maximum performance, and add info to iOS explaining how replacing an iPhone's battery can prevent slowdowns. The legal action comes after Apple's revelation it may at times dynamically manage the maximum performance of some older iPhone models with chemically aged batteries in order to prevent the devices from unexpectedly shutting down, an issue that can be made worse by cold temperatures or a low charge. Apple never mentioned the power management changes, which it calls a feature, when it released iOS 10.2.1 nearly a year ago. A month after the software update became available, Apple still only vaguely mentioned that it made "improvements" that resulted in a significant reduction in unexpected shutdowns. Apple only revealed exactly what the so-called "improvements" were after Primate Labs founder John Poole visualized that some iPhone 6s and iPhone 7 devices suddenly had lower benchmark scores starting with iOS 10.2.1 and iOS 11.2 respectively despite operating at maximum performance on previous versions. Poole's analysis was in response to a Reddit user who claimed his iPhone 6s was significantly faster after replacing the device's battery. The discussion generated over 1,000 comments, and reinforced an opinion held by some that Apple purposefully slows down older iPhones so customers buy newer ones. Apple's intentional degradation of the iPhone's performance through the release of iOS impacted the usability of the device. Effectively, Apple has forced the obsolescence of iPhones by secretly diminishing their performance. Thus, Apple's admission has confirmed what iPhone users have long suspected – i.e., that Apple deliberately degrades the performance of older iPhone models through iOS updates to encourage users to buy new iPhones. Apple has since issued an apology for its lack of communication, and it has reduced the price of battery replacements to $29 for iPhone 6 and newer through the end of 2018. Apple has also promised to release an iOS update early this year that will give users more visibility into the health of their iPhone's battery. Keep in mind that Apple is not permanently or persistently slowing down older iPhones. Even if your iPhone is affected, the performance limitations only happen intermittently, and only when the device is completing demanding tasks. We recently answered many frequently asked questions about Apple's power management process, which can't be disabled, but can be avoided by replacing your iPhone's battery if necessary. 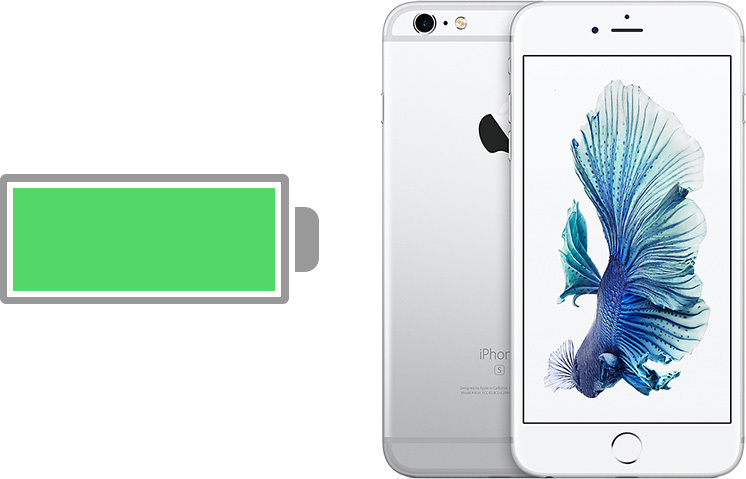 Read our guide on how to get an iPhone's battery replaced at an Apple Store or Apple Authorized Service Provider. Hope the lawsuit goes trough and bring this corrupt giant to its knees. My 6 S Plus screwed too.